The Department of Physics, established in 1994, caters at present to the teaching needs of the undergraduate engineering students. Engineering Physics, a baseline for any engineering stream. 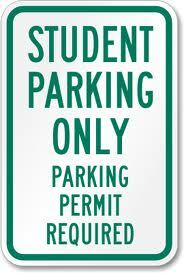 The department has a well-established laboratory to accommodate sixty students at a time. The Department has highly qualified, well experienced and dedicated seven faculty members with three Associate Professors and Four Assistant Professors. Among seven faculties, three of them with Ph.D. The teaching staffs are provided with a separate room equipped with internet provision and automation system. Additionally two supporting staffs assisting the departmental activities. 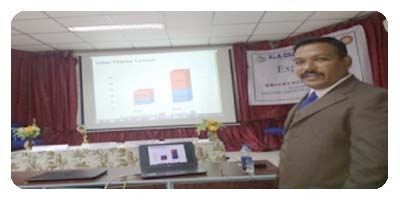 Faculty members frequently participating and presenting Research Papers in National & International Conferences, Seminars and also publishing Research Papers in reputed National & International journals. The department has a spacious Laboratory of an area about 200.8 Sq.m provided with sixteen large size working tables. The laboratory can accommodate 60 students for doing the experiments at a time. There is a separate dark room provided with circular table for performing optical experiments and there is a store room. 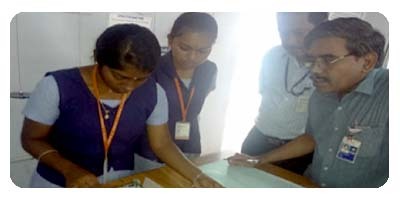 The Laboratory is fully equipped as per Anna University syllabus. In addition to the curriculum based equipments, other equipments like Polarimeter, Forbidden energy gap kit, Magnetic stirrer, Hot air oven, pH Meter, Digital Analytical balance, etc., are available in the department. 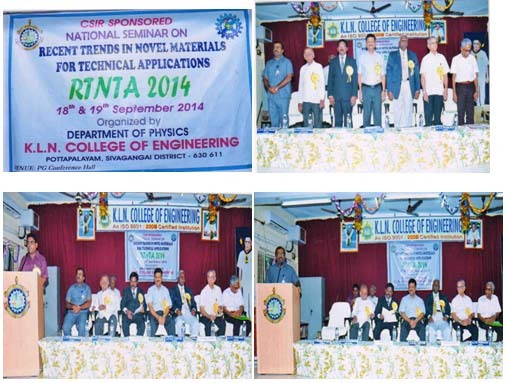 CSIR sponsored National Seminar on “Recent Trends in Novel Materials for Technical Applications (RTNTA 2014)” was conducted during 18th - 19th September 2014. Physics department was conducted a “Short term course on “Recent trends in Crystal Growth, characterization and device fabrication” on 23rd & 24th March 2006.
International Conference on Nanomaterials for Energy, Environment, Catalysts and Sensors, – “Pressure Sensor based on Plasmon Resonance in Nanocomposite”. 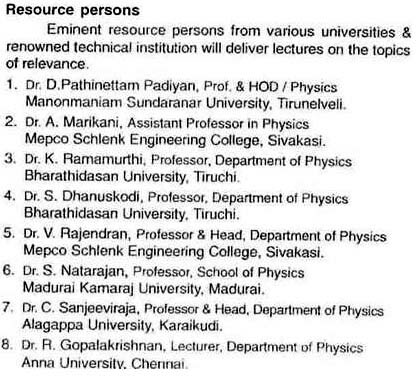 School of Chemistry, Madurai Kamaraj University/ 11th& 12th December 2015. Recent Trends in Nanomaterials for Technical Applications CSIR sponsored National seminar organized by Physics department, KLNCE18/09/2014 &19/09/14. 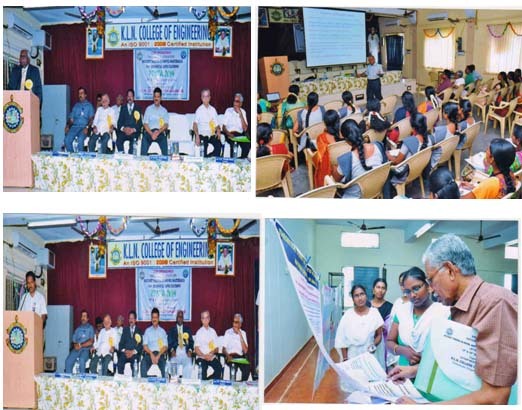 Renewable Energy for Rural Applications National Conference on “Renewable Energy for Rural Applications”, Government Arts College, Melur. 15th October 2010. Recent Trends in Condensed Matter Physics (RTCMP-2010) State level conference on “Recent Trends in Condensed Matter Physics (RTCMP-2010)”, School of physics, Madurai Kamaraj University, Madurai. 15th Feb 2010. 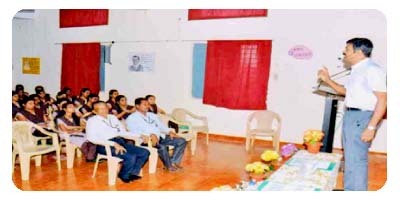 Homi Bhabha Centenary Celebration State level Workshop on “Homi Bhabha Centenary Celebration” Department of Physics, American College, Maduari. 30th Nov 2009. The path way to Higgs Boson National level Workshop on “The path way to Higgs Boson” Department of Physics, American College, Madurai.30th Nov 2009. Condensed Matter Physics Regional level Seminar on “Condensed Matter Physics”, Yadava College, Maduari. 22nd& 23rd Feb 2006. Qualitative Enhancement Strategy-Towards Excellence National level Workshop on “Qualitative Enhancement Strategy-Towards Excellence”, Yadava College, Maduari. 31st August and 1st Sep 2006. 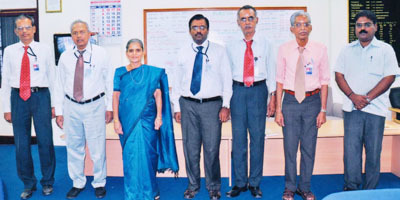 M.S .REVATHY ‘Large area CuZnSnSe4 hetero-junction solar cells by sputtering’ “National Conference on Physics and Research Materials”, Pachaiyappa’s College, February 28 (2015), Chennai. High Efficiency Cu2InGaSe2 Hetero-junction solar cell fabrication “National Conference on Physics and Research Materials”, Pachaiyappa’s College, February 28 (2015), Chennai. Workshop on Recent Advancement in Materials Research"CONVERGENCE 12" Organized by NIT, Trichy. 21st& 22nd Dec 2012. National Conference on Recent Advancement in Nanoscale Research Presented a paper entitled "Investigation on the surface texture and optical properties of CdZnS thin films on ITO coated glass substrates for optical applications" and it was published in conference proceedings. Conducted by Anna University of Technology Madurai. 24th& 25th 2012. 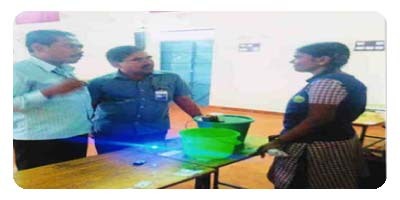 2nd National Workshop on Characterization Techniques Conducted by School of Physics, Alagappa University, Karaikudi. 21- 23 March 2013. 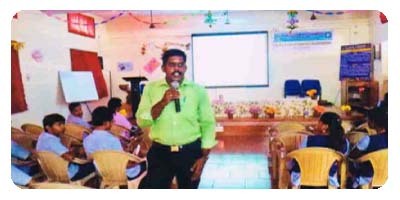 "Green Living – The Challenges & Remedies Member of Organizing Commitee and Anna University of Technology Madurai March 2012. 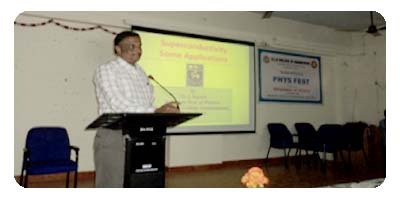 "Recent trends in nanoscale technology" Conducted by Anna University of Technology Madurai Nov 2011. 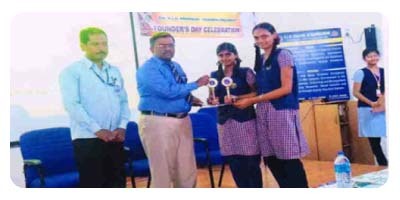 Students participated in the events like Quiz, Paper Collage and Painting on “International year of Light 2015” enthusiastically and won the Prizes. Students enjoyed the guest lecture on “Superconductivity, Super conductor and its applications”. To create awareness on the importance of Physics in Engineering, various events like quiz contest, Model Display, Painting and Paper collage were conducted to the +1 students from nearby Higher secondary school by Department of Physics on 31.01.2017 (Tuesday). Venue: ECE / EEE Seminar Hall & Physics Lab. The prize distribution ceremony of the above event held at 2.30 pm on the same day at ECE/EEE Seminar Hall. Model Display in Physics was conducted on 31.01.2017. Students participated in the events like interrogation, Paper presentation and Painting on “New renewable Energy sources” enthusiastically and won the Prizes. They enjoyed the guest lecture on “Electron Microscope in Nanotechnology". The lecture is helpful to the faculties also. 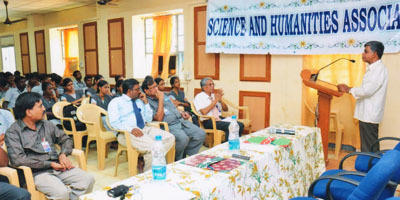 Seven events were conducted to I Year B.E/B.Tech students by Science and Humanities department at different venues. 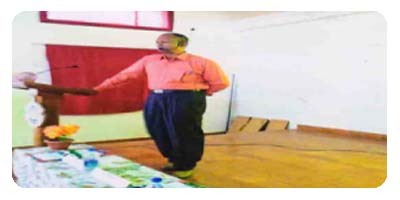 In this regard, Physics Department conducted Model display contest to our Students. Around 32 models were displayed and 3 Prizes were awarded to the winners. Healthcare Systems Engineering Mr.R.A.Prabu, DSM,, Glenmark Pharmaceutcals, Madurai. 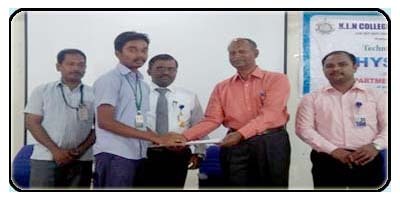 Techno Science Festival "National Science Day Celebration"
In this regard, Physics Department conducted Model display and paper presentation contest to our Students. 3 Prizes were awarded to the winners. 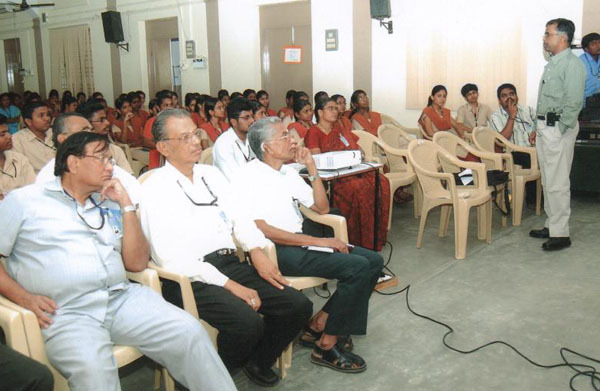 Detail of the Guest Lecture conducted by the department. Special events / Guest Lecturer attended by the staff and also number of staff participated in short-term courses / seminar / FDP / workshop. 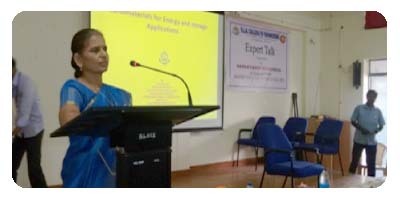 Associate Professor, Department of Physics, Madura College, Madurai delivered IIPC Supported Expert talk on “Superconductivity, Superconductor and its applications”. 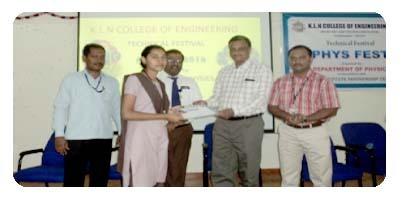 CEO, Crystal Info Solutions, Madurai delivered IIPC Sponsored Technical Festival “PHYS FEST” Guest lecture on “Electron Microscope in Nanotechnology”. 29th June – 17th July 2009. "Crystal Growth Techniques & Its NLO applications"
N.R.RAMANUJAM Need for Quality Texts in Science and Engineering Indian Journal of Technical Education, June 2013. Effect of Temperature on Nanocomposite of Metal nanoparticles in Photonic Crystals Progress in Electromagnetic Research M, Feb 2015. Mrs. K.S. HemaNandhini An Efficient Solar Energy Converter Using a Nanosystem. 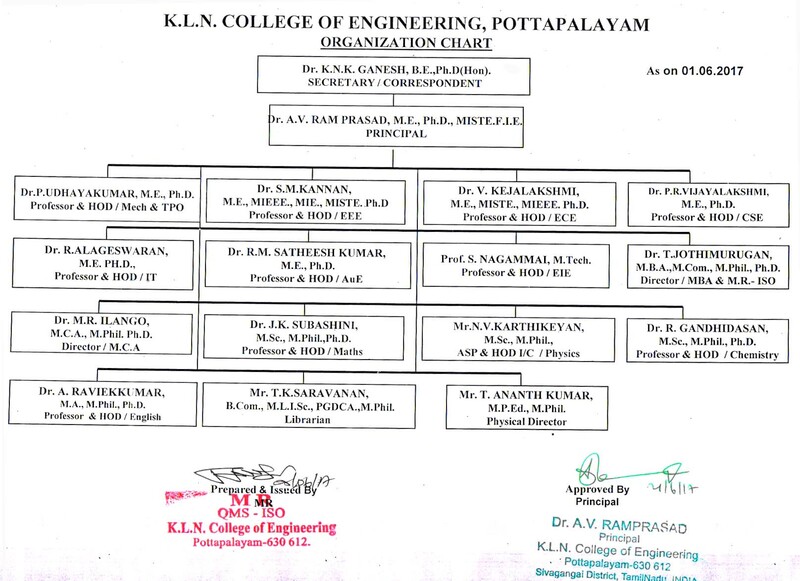 14 & 15 Oct 2011 Velammal College of Engineering & Technology.